The PS2 Compatible PS3 is becoming a rare breed, having not been manufactured since 2008. They can usually still be obtained through the used market but will generally cost a premium or be in disrepair. Here we cover the different types of PS2 compatible PS3s and their features and the differences between the various models. At the end of the guide we also provide our view of the value of owning one of these rare systems. These models, the very first PS3s to go on the market, are the only two that have a practical 100% compatibility with the PS2 library. They feature both the core CPU and GPU of the original PS2 chipset, and the first major system update in 2006 cleared up a majority of graphical issues for accurate, mostly bug-free PS2 playback. For these reasons, these were the most expensive models for Sony to produce. They had a shorter market life than their successors, making them exceedingly rare today. Their tendency to run hot (hotter than all subsequent models) and the dust-attracting qualities of its glossy finish also means that, at almost four years old, a good handful of these original models might not even be playing anymore. What this all means is the the CECHA and CECHB are very valuable machines, generally fetching a higher price for a three-year-old secondhand than stores charge for a brand new 120gb console on shelves right now. The extra expense can be impractical: newer machines are cheaper, run quieter, run cooler, and use less electricity. For all the savings these new models provide, one could easily purchase a new PS2 console to just keep handy. All That being said, the CECHA is the absolute best choice, when available, if you really want a PS2 compatible PS3. As a cost-cutting measure, Sony removed the more expensive Emotion Engine CPU and had subsequent models run PS2 games entirely through the Graphics Synthesizer GPU and software-driven emulation. The emulation was difficult and far from perfect; these models did not have full backwards-compatibility, ending up with between 80 and 90 percent of the PS2's available library still playable. Many of the most popular titles in the library play without errors. Many games are still playable but experience graphic or audio errors in particular places or situations; fortunately, only a handful of games are completely unplayable. These models typically are less expensive than the 100%-compatible CECHA and CECHB units. They retain enough compatibility to still be useful, but, like the other models, a similar investment could get you a regular PS2 console. This is not to mention the additional memory card slots and USB ports those models had. Are these advantages significant enough for the added expense? That choice is yours. You will likely pay at least $350 for a functional 60gb console that is already four years old. They can be nice machines to have for sake of those added features and the convenience of having one machine for the entire Playstation library, but a current-generation console is much more affordable and more economical. The older models consume significantly more power and generate equally significant heat; a noticeable difference if being run in a small room or space. 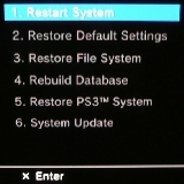 In short, it can be a useful investment for a first-time PS3 owner, but current owners of non-backwards-compatible PS3's shouldn't see it as a necessity.